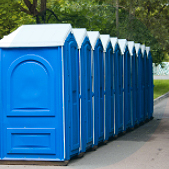 Portable restrooms are important to ensure the comfort and wellbeing of those working at a construction site. 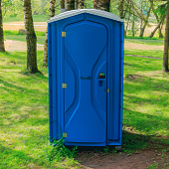 Installing portable restrooms enhance productivity, as workers won’t constantly need to travel to the nearest public toilet every time they need to relive themselves, hence saving time. Installing hygienic toilets in the vicinity will also keep the construction workers healthy and reduce absenteeism. Increase the efficiency and speed of the construction work, as well as the comfort of the workers, by installing high-quality standard portable toilets close to the construction site. Construction work can be both strenuous and time-consuming. Therefore, installing standard portable toilets in the vicinity can help make the workers more comfortable and productive. Most construction sites are crowded. So you can help save time and improve efficiency by installing a two-sided handwash station in the vicinity for the workers to use. This portable sink can be used by more than one person at a time, which can help speed things up at the construction site by allowing workers to make optimal use of time. This portable toilet has been specially designed to be used on construction projects in high-rise buildings. These portable toilet units can be safely lifted to the uppermost floors of an under-construction multi-storied building. This will ensure that those working on the upper floors don't have to come down to the ground floor every time they need to use the restroom. 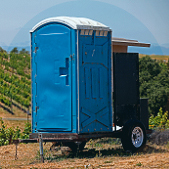 A portable restroom cannot function without a holding tank. 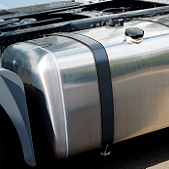 Therefore, you need to install portable holding tanks near the portable toilets at the construction site for maintaining sanitation and a hygienic environment in and around the construction area.